Keeping up the elasticity thingy in mind, this cotton fleece Infinity War Tony Stark Hoodie is totally comfortable in case you’re trying to leave your house without your iron-cladded gear up. Invention is kept in stitches and calculated configures are kept in its sound sophisticate adjustment. A sheer novelty that’s originally harnessed from one of the biggest CGI motion-picture film fruitage. A brag that’s totally legal and could outdo other counterparts in utter stylish silences as well. 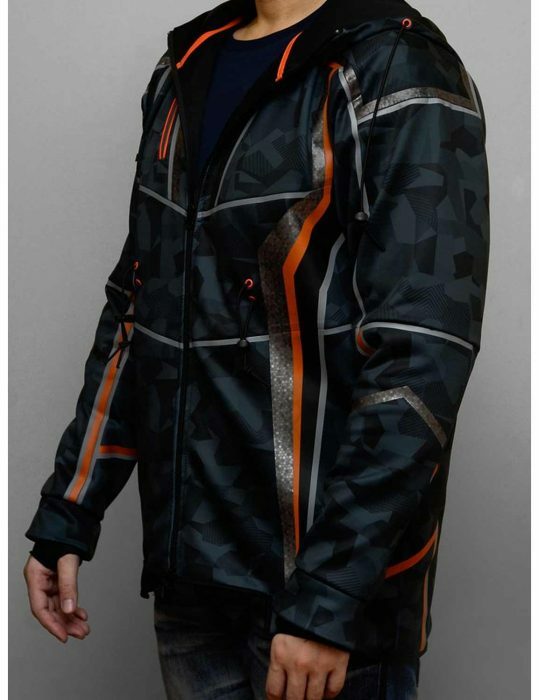 Specifications featured on this immensely realistic Avengers Infinity War Robert Downey Jr Jacket condenses in a soft viscose for a serene equanimity, a hoodie collar keeps you at home on battlefields (fight sweet fight -bang pow whack) and buttoned harmonies are adjusted all over the personify place. Likewise, buttoned cuffs really adds a Stark class that’s enough for a full-ledge formal day. Not to forget the orange band that really sublimes the wearable to Downey Jr. sky high standards. Impressed With Stitching On my husband’s birthday, I wanted to present him Tony Stark jacket because he is his favorite character. I am very happy with the jacket that arrived on promised date and made with the perfect quality material. Really impressed with the stitching and the color of it. Nice jacket - Tony Stark would like it This is a well-made jacket and a good value. I think it is almost exactly as pictured, and the size (Medium) fits like expected and follows western (US) sizing. 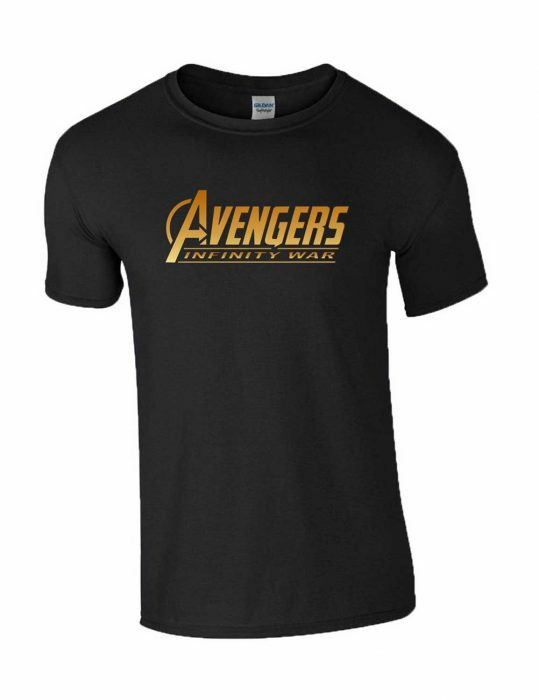 The free T-shirt also fits well and is of high quality, not cheaper cotton type. The red/orange piping features are slightly more orange but looks good, no complaint. Overall impressed with this, and would recommend. Impressive! I was just visiting the Hjackets.com to find out the fascinating collection for my wardrobe. I found the Avengers Tony Stark Infinity War Jacket that was looking appealing and I must say that it feels attractive while wearing it. I ordered the jacket immediately and it arrived soon. Thankfully, I got the precious jacket that as per my choice. The material of the jacket feels impressive and I can easily wear it for a long time period. Its features look attractive and grab the attention of the viewers. The best thing is that I received a free t-shirt with my jacket that will give me pleasing look. Thankfully, I received the perfect piece same as I was looking for? I would definitely recommend it to others and impressed to purchase from this site. Satisfied! Inspirational Piece I am not a regular online customer, but whenever I shop online I supposed to avail the top class products for an impressive appearance. 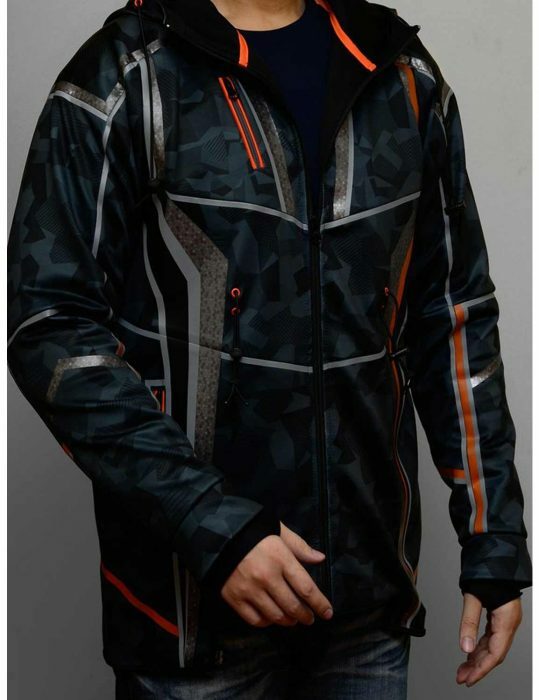 I ordered Avengers Tony Stark Infinity War Jacket that is one of the inspirational pieces that I want to purchase for my wardrobe. I ask the customer service about the perfect fitting and style and then ordered two pieces, one for me and another for my brother. It arrived within few weeks and I must say that it is something more attractive that I haven’t seen before. The material of the jacket and its features are impressive that everyone wants to avail for the special day. It fits me well and looks appealing whenever I attired it. I really want to appreciate the site that offer such a stunning product on a budget. I received a free t-shirt with the Tony Stark Jacket that is also an inspiring piece. I would definitely recommend everyone regarding this site and will be buying again. Thank you, I am really impressed with my purchase. WOW!! what in the world!! :0 This jacket is good and I loved it. Received it two days back. Sorry I forgot to revisit. How can I not give a lil review on the best garment buy ever online. Everything is topnotch and sizing is absolutely spot on. A1 class for this outfit... I'm astounded by the jacket you guys just sent me. It feels like a memento sent me by Stark dead in the hands of Thanos *Pun intended. *Really very cool jacket having the same stylish performance if you ask me. The material is cotton blend feels but it oozes some sorta wool feels out of it. The military signature patterns amplifies this outfit to a whole new level. Detailing isn't a mismatch in the least bit and its excellently built. Seamless to the extremes as if if you guys asked marvel to make a two piece Iron Man jacket. One for Robert Jr. Downey and other one for the one I'm receiving you right now. Awesome Replica! How could you?! Dang on point!! Awesome Replica! How could you?! Dang on point!! Now this is what i call a true military Stark jacket. 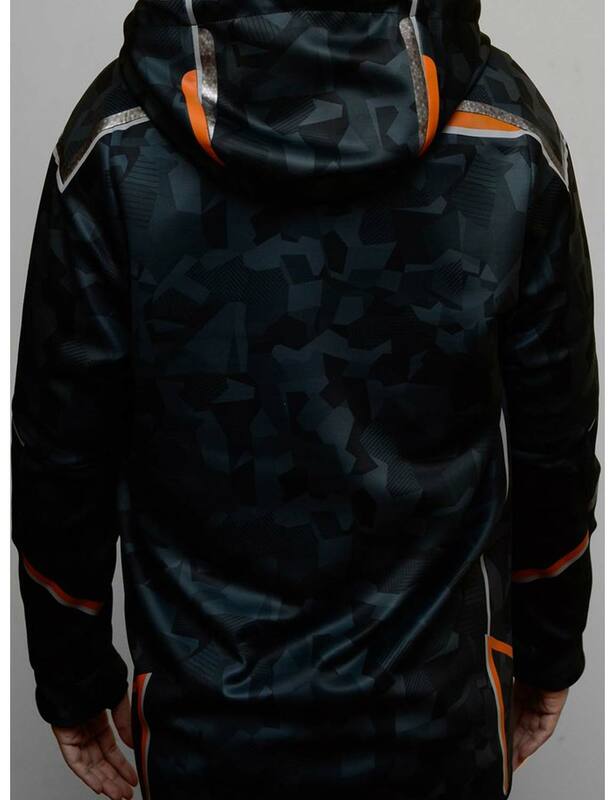 Love the army camouflage over the blackish blue hoodie jacket. The material is superb and as per the description here. The small size is a little bit loose for my little brother, but no worries coz we got a family seamstress working just opposite to our home. I got a 'L' measure Downey jacket and its totally outclass. Feels like I'm in the Avengers. The fleece is very soft and what I really cherished on this outfit was its detailing, assuring an enthusiastic presence if mind from the makers. 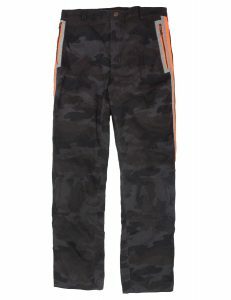 The orange and grey silvery stripes is endorsed in an impeccable flow - not leaving its linear banks. 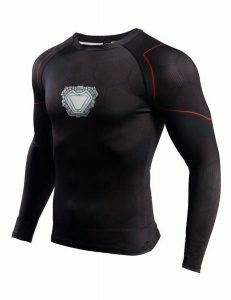 A brilliant conceptualized replica spirited from the original wear as worn by Iron Man in one of the biggest Marvel movies. Loved it a lot guys. Artistically comprised outfit with overall bold styling What i like about this outfit is its creative fabrication that makes it a top class apparel to have in my wardrobe. As i really like its supple crafting and solid facade designing that gives this outwear a real diligent look just like of the real garb. Thanks to Hjackets for crafting this wonderful apparel. Pleasantly Surprised I want to share my experience of buying Avengers Infinity War Robert Downey JR Hoodie from the Hollywood Jacket. I was pleasantly surprised by a couple of things and I really want to share that what these are. First of all, I must say that delivery of the product was good and it was on time. According to their commitment, the delivery was within two weeks and it arrived within two weeks that builds my trust level. Next, if we talk about material then, I must say that it is made up of high-quality material that will surely keep me warm and comfortable. The thing that was making me confused is the fitting of the jacket. I was worried that either I will get perfect fit or not. But thankfully it fits me well and I am impressed. I must say that everything that includes in this jacket is perfect and looks pleasing. It was my best experience online and I will shop again online from this site. This has become one of my favorite hoodies all the time. I would highly recommend and will suggest my family and friend to shop from this website. Yes we do ship to Spain. Free shipping usually takes 10-12 business days in processing and further 2-3 business days in shipping and handling while expedited shipping cost $25 and usually takes 6-7 business days in processing and further 2-3 business days in shipping and handling. Free shipping usually takes 10-12 business days in processing and further 2-3 business days in shipping and handling while expedited shipping cost $25 and usually takes 6-7 business days in processing and further 2-3 business days in shipping and handling. Yes we have 30 days easy return policy. Here is the link for your ease. 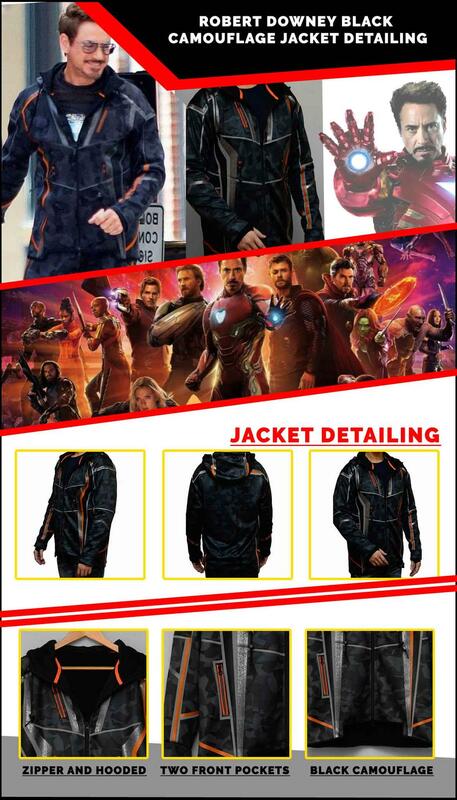 This Avengers Tony Stark Infinity War Jacket (Free T-Shirt) is replica version. 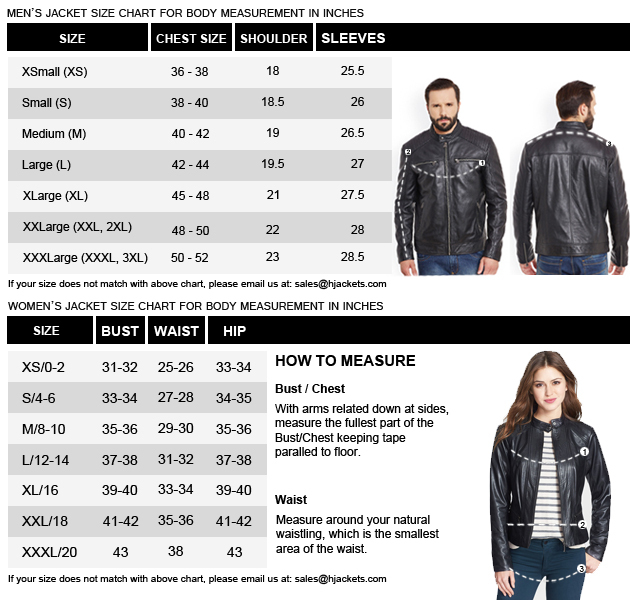 Thanks for Showing Interest for our Product, Yes we follow the size chart of United States..